Flap disc, also known as sand sheets, flat abrasive cloth wheels, flower impellers, sand wheel wheels or elastic grinding discs. 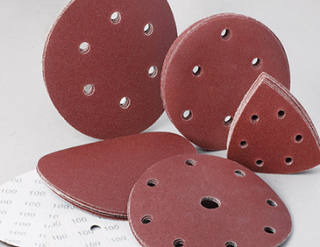 Sand discs are generally used in conjunction with angle grinders. The flap disc has good and efficient grinding ability, is easy to use and has low noise, and basically does not need to be safely protected. Therefore, it is widely used for rust removal, paint removal and weld grinding of various profiles of metal and non-metal materials. It can be said that the sand plate is the star product of the metal polishing market. However, when selecting the flap disc, it is easy to go into the following two misunderstandings. Myth 1: I value the shape of the flap disc too much. Flap discs usually come in two shapes: curved and flat. As the name suggests, the flat sanding surface is smooth, while the curved sanding surface has an upward curvature. From the appearance, there is a clear difference between the two. Some people think that the curvature of the sanding surface of the curved sand sheet makes it possible for all the blades to contact the workpiece, and the cutting speed and surface effect are relatively uniform, so the effect is better than the flat type effect. But in fact, with the loss of the disc on the surface of the flap disc, the polished surface of the flat sand sheet will also have a certain degree of curvature, and it will have the same grinding effect as the curved sand sheet. Therefore, the curved type or the flat type can be selected according to personal preference, so it is not too tangled. Myth 2: The number of flap discs is as high as possible. Compared with ordinary flap discs, some manufacturers produce flap discs with a larger number of grinding blades per unit area. In propaganda, these sand sheets with a large number of blades are usually labeled with “high density”, “long life” or “grinding giants”, but these are usually just marketing methods for merchants. The high density of the blades means that the production cost of the sand sheets is increased and the price is correspondingly more expensive. However, due to the increased number of blades, the angle of insertion of the blades is higher, and the surface after grinding is more rough while improving the cutting efficiency. As for the service life of the sand sheet, under normal circumstances, it is true that the more the number of blades, the longer the use time. However, the number of blades is not a decisive factor in the length of life of the sand sheet.